Home It has two big eyes. 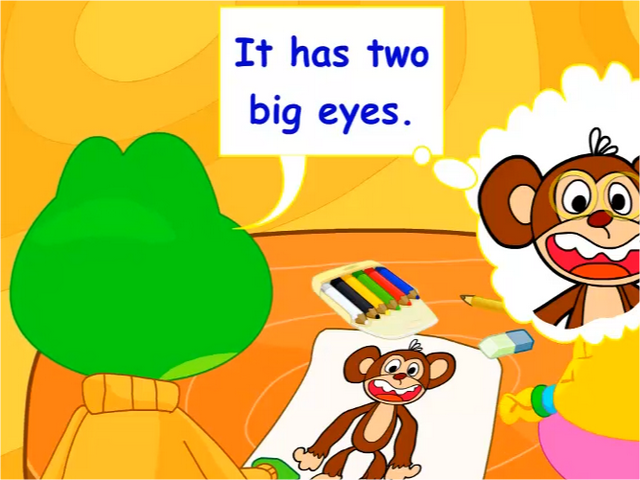 Topic: It has two big eyes. Communication Objectives: To learn to describe body parts using basic adjectives. Language Objectives: To learn to use simple adjectives to describe nouns. Grammar: Practice using the verb to have' in the 3rd person singular to talk about characteristics or features. Singular/Plural: This lesson will also focus on the use of ‘a’ in front of singular nouns. We will also learn to add ‘s’ at the end of nouns to show plural. Plural refers to more than one thing.